A funeral or memorial service is a single day, while a monument is forever. Headstones and grave markers create a loving space to gather in memory of those lost as well as illustrate to future visitors that their life was lived to the fullest. Through our association with Woodlawn Cemetery, the Dietrich-Mothershead Funeral Home can help facilitate the design, delivery, and installation of a memorial that will last for generations upon generations. Our monument provider offers a wide selection of models, shapes, colors, inscriptions, size specifications, and more. Whether it’s funeral planning for yourself or a loved one, we are happy to work with you to create a fitting tribute that blends creativity and attention to detail. The memorial that you choose today will last forever, so you deserve nothing less than superior design and timeless craftsmanship. Contact us now to learn more. To view our current and past listings click here. 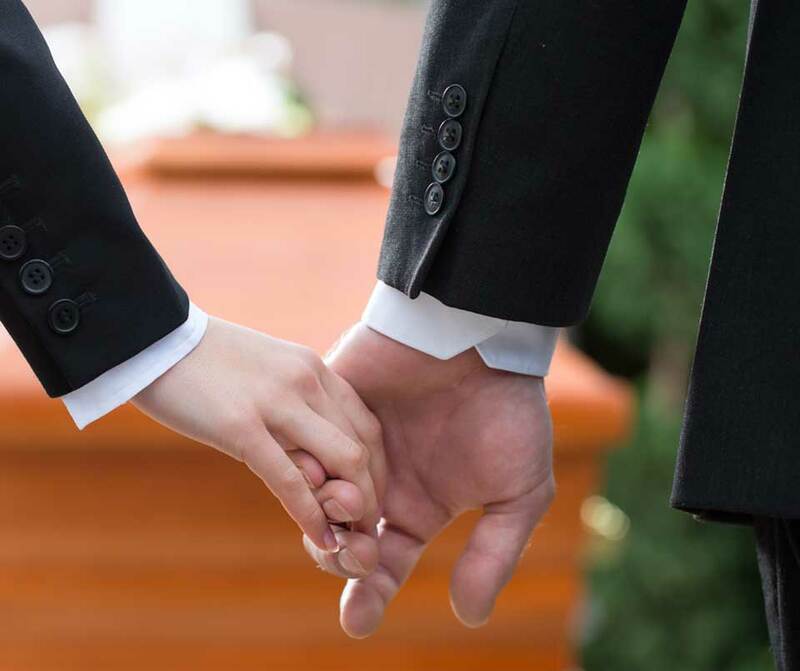 As your preferred funeral director and partner, we will be there to assist your family through a tough time and a difficult process. We hope to get to know you and, in doing so, get to know the deceased which allows us to help design a monument worthy of their memory. In choosing to work with us, you are getting professional guidance from people you already know and trust. The monument will not be complete until you are fully satisfied with the results. Not only do we help with the design, but our team can contact the cemetery on your behalf to ensure that your memorial arrives safely and meets all requirements. This takes the burden off when you have so many other things to think about. These monuments can be admired up close and far away. Upright headstones have a vertical top portion (known as the “tablet” or “die”) that is built upon a horizontal mounting piece (known as the “base”). They are typically either rectangle or have rounded edges, but you have the ability to make it into many unique shapes. Slant headstones are similar to upright monuments, only shorter and thicker. The front panel is slanted toward the burial plot so that names, dates, and other inscriptions can be read easily. It might look triangular from the side and can be designed either with or without a base. One of the most common types of memorials, flat grave markers are flush or even set into the surrounding ground. As their name suggests, they are typically thin, comprising of no more than a few inches of bronze or granite material. These markers are considered to be a basic but altogether classic choice for many people and families. A bevel marker is sometimes affectionately referred to as a “pillow” because it rises a few inches above the ground and has a gentle sloping design. This type of marker has become very popular in recent years because it is less expensive than a standing monument but has more variety and design options than a flat grave marker. Through our monument provider, we have the capability to help you design speciality shapes and ornamentations that allow your loved one’s personality to shine on throughout the years. However, please note that the cemetery you choose could have restrictions that you must follow. As your funeral director, we can help carry out your unique vision while also meeting the requirements set forth by the resting place of choice. When thinking about what to put on a headstone, keep in mind that it can have so much more than just a name and date. With so many options in artwork, etchings, engravings, symbols, and emblems, you can now effectively convey how much someone was—and still is— loved by their family and friends. Any of these things can be a focal point for the headstone. Even after you have done your brainstorming, selecting a quote, image, or theme for your headstone is still not a simple task. It can be limited by space as well as the pressure to create something that will need to stand the test of time. It can be stressful during an already stressful time. Let us help! We can assist in making your cemetery monument a beautiful expression of love and remembrance. We are a community-oriented and family-owned business with a proud heritage of personalized service. Over the years, we have enhanced our amenities to streamline all the essential components following a tragic death in the family. We’ve made it easy to send your email inquiries via our contact form in which we guarantee to respond within one business day. Contact Dietrich-Mothershead Funeral Home to start the process today. Your loved one’s life should be honored in a way that would make them proud. Our team of caring, compassionate funeral directors is available to help 24 hours a day to help you add the personal touches that celebrate their life. No matter if you want to honor your loved one with a casual ceremony or a formal one, our services allow all attending the service to express their heartfelt gratitude for the part their loved one played in shaping their life. We provided memorial service options for loved ones who choose cremation over a traditional burial. All of our cremation services include assistance with the permanent placement of the urn at a cemetery or columbarium.